Its sure been a long time for both you and for me when it comes to a new weaving post! I'm having to reach way back to last September to start this story. 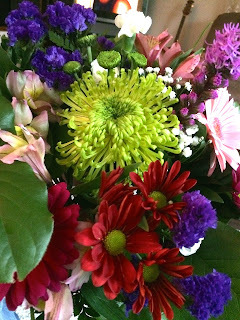 It was a tense time getting things together in the studio, plus getting the house and me ready for the surgery to come. This project started with watching a video by Margaret Coe on how to use the colour gradation feature on the Fiberworks program. It looked simple enough so I thought I would try my hand at it. 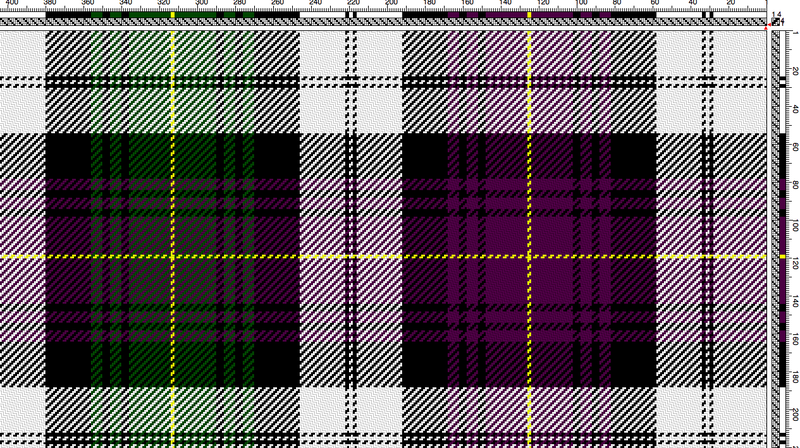 After a few fumbled attempts, I pulled together a three colour gradation of just over two hundred ends and then found a nifty eight shaft twill draft at Handweaving. 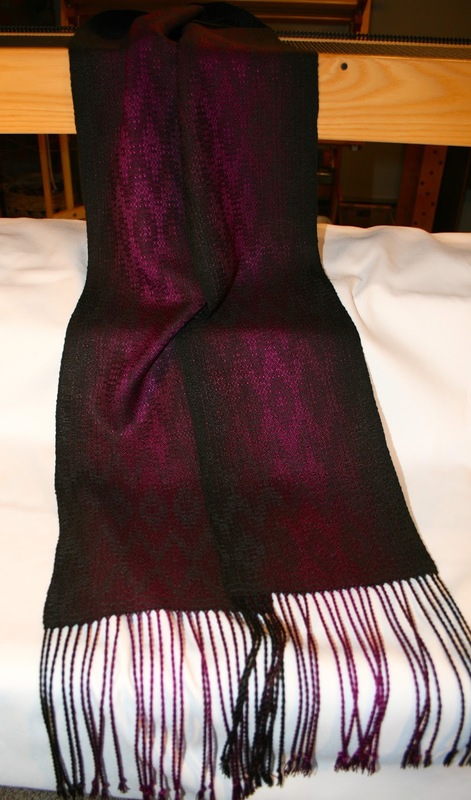 net wound a warp long enough for two scarves and some samples. I wove the first repeat, which measures six to seven inches to see what it looked like and admire the colours.... and then left it to sit until I was able to weave again. 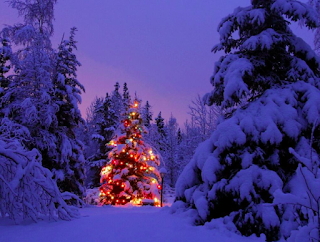 Something to look forward to. I noticed it was hard to photograph it well between the darkness of the colours, the flash, and the shine off the tencel. I had to try different angles and settings. I'm sure someone with camera 'know- how' could do it but I only play with the auto settings. So you might notice some changes in the lighting and appearance. Its just me trying to get a better picture! So my secret is out... I just take lots of pictures and see what turns out.... and then play with them in the computer. Hey! its worked okay till now. The weaving part took some time. 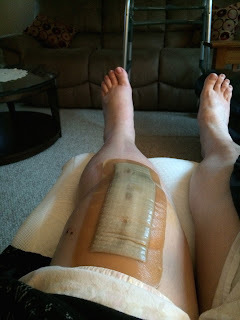 I tried my first few inches at about six to seven weeks post op. (So about mid November) and quickly discovered .... it hurt! My first few sessions produced a few inches and only a few minutes each time. 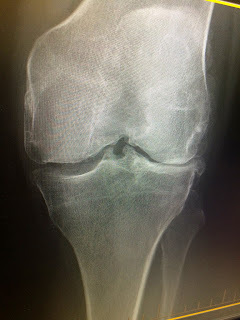 The knee would swell up and so need a couple of days off and then I tried again.... with the same results. But it felt good to be resuming a normal activity again. Then we received all the photographs from my Dad's estate, which I sorted, and then Christmas came along and so there was a three week break away from the loom. This turned out to be a good thing in hind sight as it gave me more time to heal. I felt much stronger when I got back and not as much swelling and pain. I planned to be on the bench for New Year's Day and I was ! 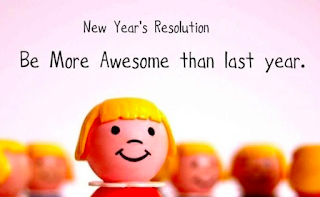 It sets the 'weaving tone' for the new year and I wanted to start 2016 off right. To be truthful, I have finished these two scarves plus two others since then but the second batch are for another post! It sure felt good to pull them off the loom. Bruce was there for the 'unveiling' and he also helped me load the next warp right away. I was on a roll and not about to stop! The next day I serged my samples up, and measured my fringe allowance and evened the lengths up. I pinned them out on my board and got busy twisting the fringes. I had a good look through my bead stash but other than small basic black seed beads, I have nothing in the magenta colour line at all. They were just going to have to go naked! Its okay as the ombre effect sort of takes centre stage anyhow.... who would even notice they were there? 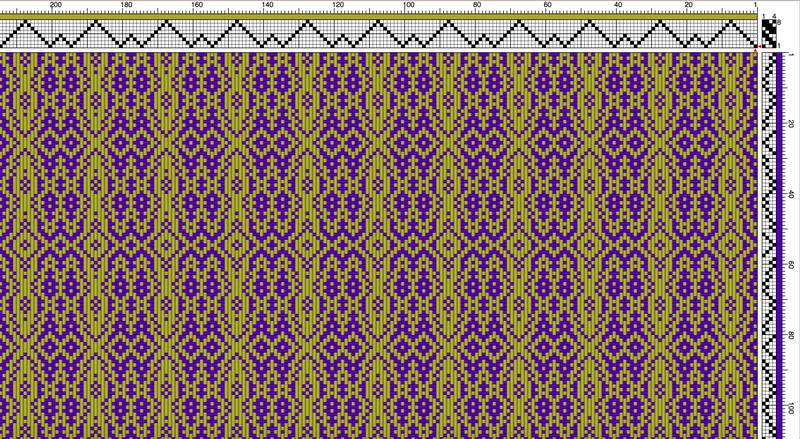 The other scarf was woven 'network' style as shown in the draft above. It has a whole different feel or mood to it. Its also fully reversible. I think this is my favourite of the two. It would look stunning against a black wool dress coat, or suit. Well, they both would! 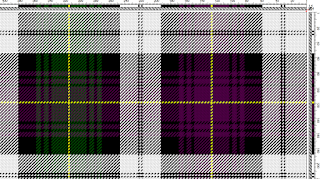 So to review: six and a half yards of 8/2 tencel in colours black, eggplant and red-purple; sett 24 epi. 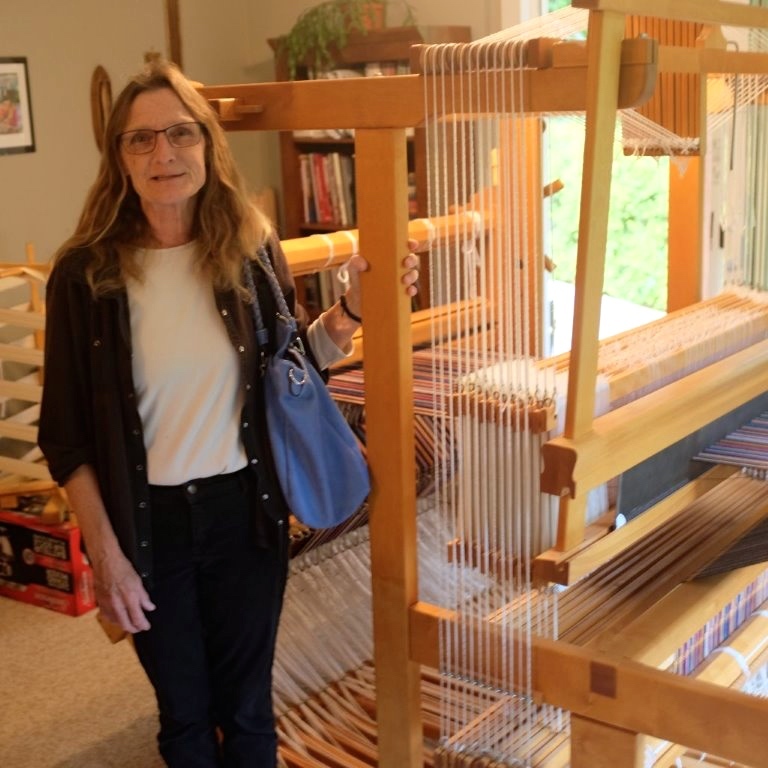 Both scarves were woven to approximately seventy four inches and end up being seventy two inches in length when all done and a final seven and a half inches wide. The fringe measures 6 inches. The next warp that went on is a repeat of a few things.... the drafts used, the ombre effect but this time all different colours and a whole different look and feel. I used four colours this time as well. I had to plan to use the same tie up again as I wasn't sure of how things would go changing it, even propped up on crates. Parts of me just don't bend the same way anymore! The treadling does count as exercise though for the leg and knee so its been good that way! 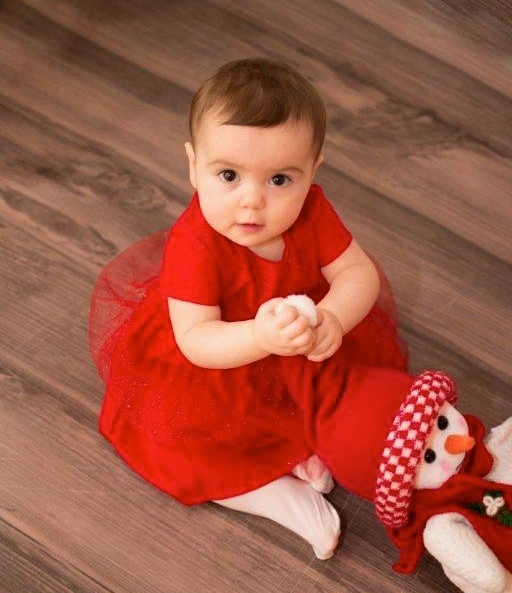 We just had a second Christmas, a second helping of *happy*! We have been away to see the grand kids and spend time just soaking them up in all their sweet, noisy glory! Then, we came home exhausted and our ears ringing but a very happy Nana and Grandad. 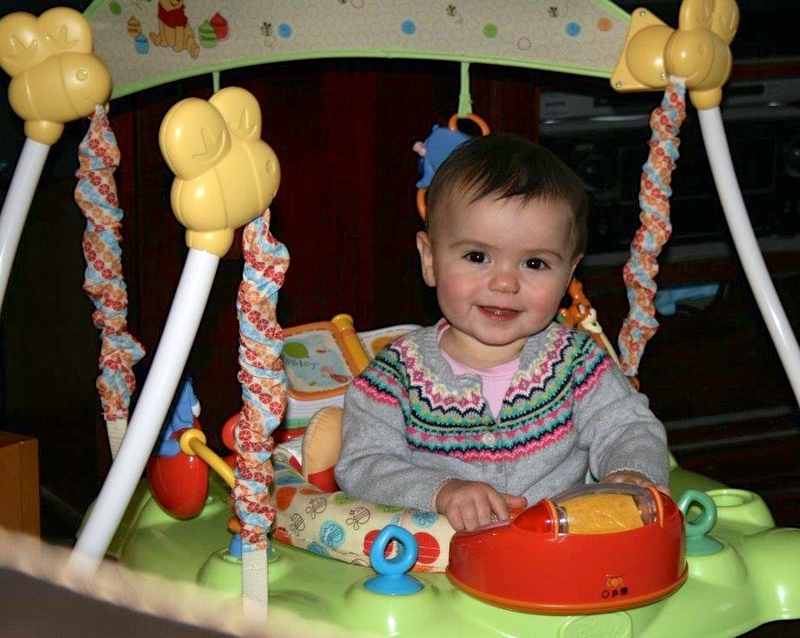 Madison has grown and is now ten months old and has personality plus. 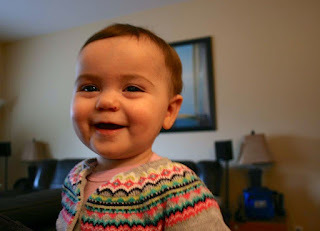 I know I'm somewhat biased but she is a quiet, happy baby. She babbles and talks but in a calm way. You can see her concentrating on your words as you talk with her. I thought I'd try my luck at getting her to say "na-na"...... and she nailed it! For the rest of the visit, I was clearly "Na-na"! Ethan, who is four in April, is a whirling dervish. He simply does not stop moving. Consequently many pictures just didn't pan out as he was too blurry. He's the opposite of Madison.... action filled, loud and boisterous. I heard the phrase "inside voice Ethan" a lot! To be fair, he was excited and happy to play trains with his Grandad. What is this Ethan? a big locomotive. Then we spread the picture with our fingers on the iPad and asked him who the Engineer is? His eyes went wide and he gasped GRANDAD!! He stuck pretty close to Bruce after that and Bruce spent much of the time there on his hands and knees building track and having crashes off the big hill they made. Now, I do have two finished scarves waiting for some sunshine to snap some pictures for you. 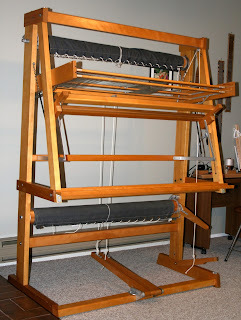 I also have two more that are waiting for fringe twisting and a wash..... and the loom is already reloaded again. Towels are being woven up next and I have silk being wound on the warping mill. 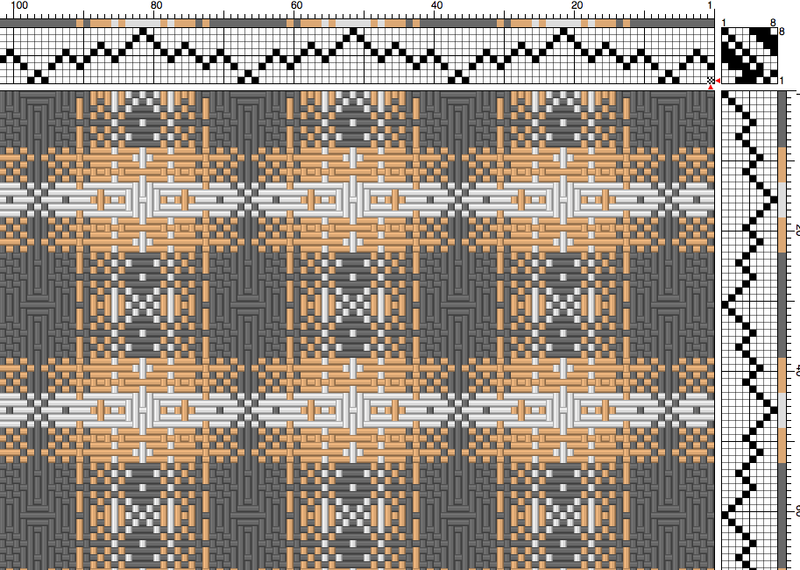 So there will be weaving related posts very soon. Its been darker than Hades even with all the lights on and anything I have taken have not been very good. The scarves are dark to begin with and the flash just washes things out as it bounces off the tencel. Its been raining steady for some days now. Our little stream on the property was up and over its banks a few days ago and close to the underside of the bridge decking. 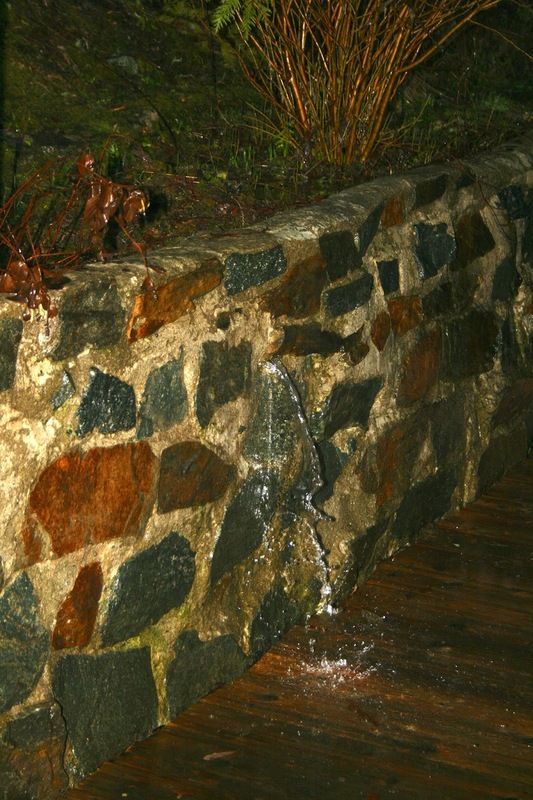 We have a hand made stone wall on the back yard built many years ago by one of the former owners of this property. The land goes uphill just beyond it and so the run off fills the flower beds. 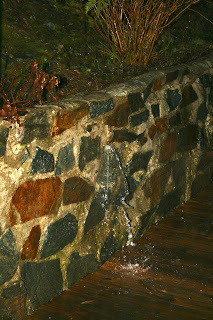 I took this picture just as it was getting dark(er still) outside and the flash shows the draining water flowing out of a small hole in the wall to its best advantage! This is normally my herb bed in better weather. I'm not complaining as I at least don't have to shovel it ! We'll show this picture to Ethan next time..... I think he might be impressed. So here's the prize. Its a guest towel woven by me (10/2 mercerized cotton and a fine Bambu 12 weft called water chestnut which is much like an ecru. Yes, there is a treadling error but the towel is pretty none the less! I made up 38 little tags of paper and had all names entered and into the wee basket (that a friend made by hand and gifted us for Christmas). 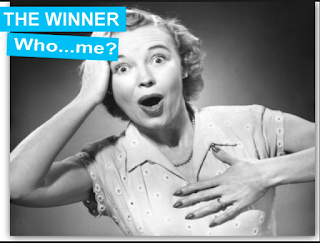 ....and the name drawn was Deanna! 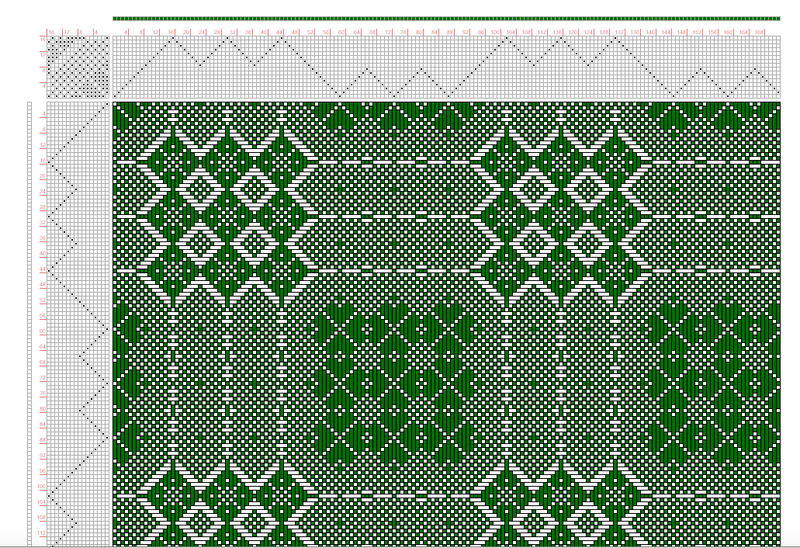 Deanna has a blog she writes called Deanna's Weaving and seems to be very accomplished! I searched for an email address for you Deanna to contact you directly but came up empty! So please contact me via emmatrude(at)gmail.com when you see this. 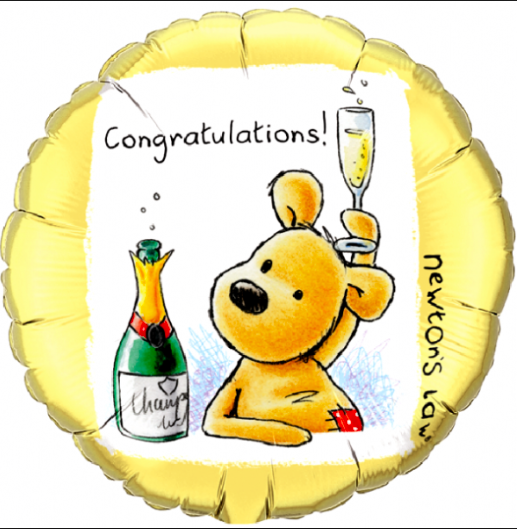 I simply can't believe that its now 8 years since I started this blog. 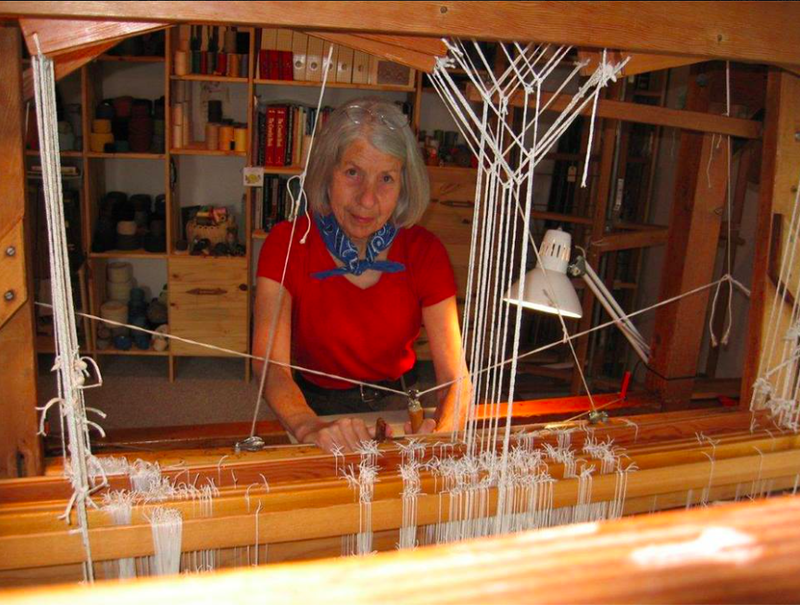 I had been the President of the Guild of Canadian Weavers for a period of four + years and it involved being on the computer almost daily with emails, meetings and such. When my term was over and I stepped down, I went from being totally involved to a sudden nothing. I needed something to become involved in regularly as I became more involved with Life and weaving again and less about computers and meetings. 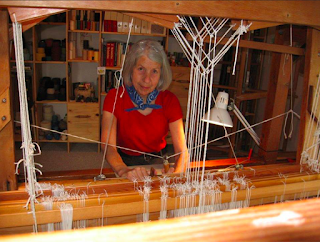 A blog so that I could share what others had generously taught me over the years and in turn I could share with other weavers, such as yourself ..... and I could go about it in a way with blogging that makes it easier for both you and me. I'm sure many of you sit and read posts in your jammies. I somehow sense that while blogs are still very popular, they don't enjoy the large readership they had of a few years ago. I did create a Facebook page called Thrums Textiles and I also created an Etsy shop of the same name. Even Pinterest, though I'm still trying to work out how this site actually works! 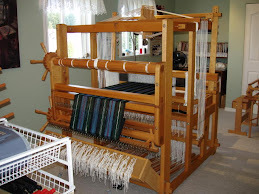 I'm trying to keep up with the times but draw the line at all the other social media web sites such as Instagram.... if I joined them all, I would never get any weaving done! (But if there's one you think I should know about, then please contact me!) I hope to do more weaving this year and then write to you here more often than I was able to last year. I'm optimistic at any rate! 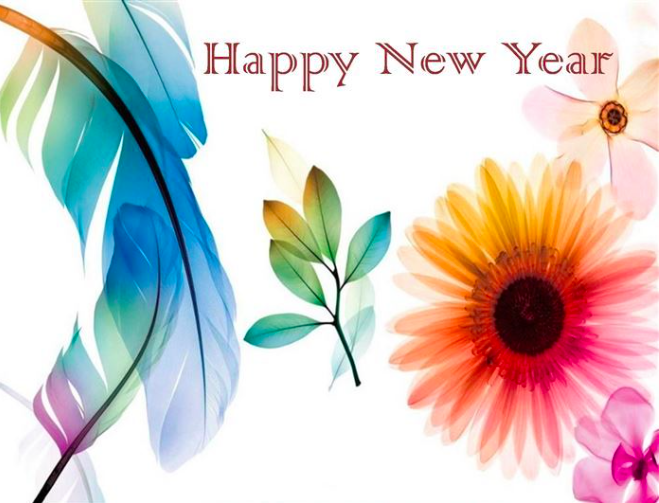 Start of a fresh brand new year! I'm hoping that this one is brighter and colourful, and more productive than last year. A nice clean slate. Many weavers like to show what is on their loom on New Years Day, which is a great idea, but I like to show what was going on in the studio for the entire year. A review of sorts. 2015: Not a stellar year production wise as I was slower at weaving due to recovering from hip replacement surgery, then dealing with pain while waiting for another surgery.... and the resulting recovery interval once more. Some of you have told me that you wished I posted more often but trust me when I say there was nothing to really share with you! I did manage to get some cloth off the looms and I made some big changes to the over all arrangement of the studio space. The scarves below were on the loom before surgery and waiting to be woven off. They are all silk and in fact a variety of silks! Bombyx, silk- yak, tussah, silk-cotton....some home dyed and some commercially dyed. 36 epi and an eight shaft draft. Light and soft and very nice hand to them. It took a lot of 'tromping' to get them done with the weft so fine. I'm not sure I thought that through too carefully before hand! March 10th saw our new grand daughter Madison Ava born. Even now her big brother Ethan is still trying to work out if he wants to share the centre stage with her. Fortunately she is a patient, happy baby and is growing like a weed. Then we had the engagement and marriage of my daughter Carrie and her sweetheart Colin. 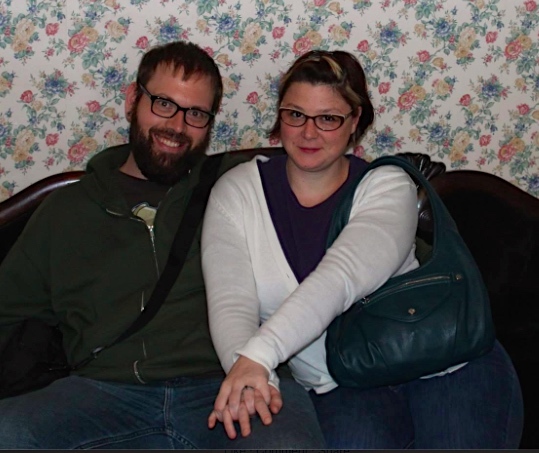 Their wedding was March 13th. I must say they are very well suited to each other and we have gained a son. They are making their home in the Denver, Colorado area. Meanwhile, this project was perfect in its simplicity. 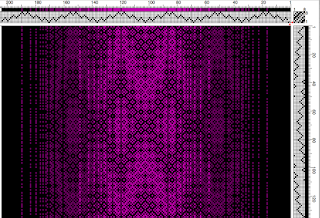 Four shaft plain weave with three thread lace. 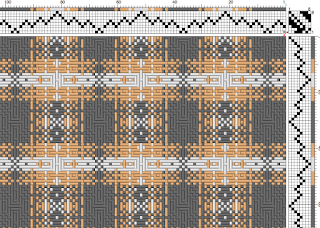 I got the draft from Handwoven's Design Collection 16 and must say that if you decide to weave this yourself, be prepared for a lot of draw in and beat the heck out of it. It all settles down in the wash and I do recommend a good *hard* pressing to set the pattern. 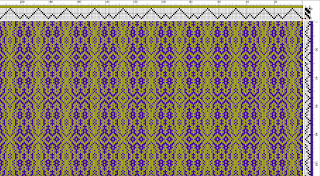 It would make a lovely table runner. I also tucked into working out and fixing what ever was wrong with the Megado loom. The meant looking into getting the software all worked out and remedying some hardware glitches with shafts and solenoids. All fixed and doing fine now! 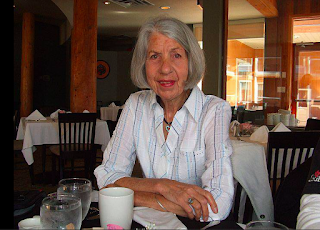 It was during this time period that I found out my friend Gudrun was battling cancer and not doing very well. I fell in love with some silk at a European based Etsy shop and soon was winding a warp of 20/2 equivalent hand dyed rich violet and a bronzed green silk. I used an eight shaft draft from Handweaving.net My sett was 28 epi. It produced this neat striped effect. We were over to Vancouver again for a visit with Dad.... I knew when I left it was most likely the last time I would see him so the good bye was very hard. Shortly after we got home we heard from my cousin that my great aunt Bessie had died. Bessie was almost the same age as my Dad. She had come to Canada as war bride and settled in northern Ontario. 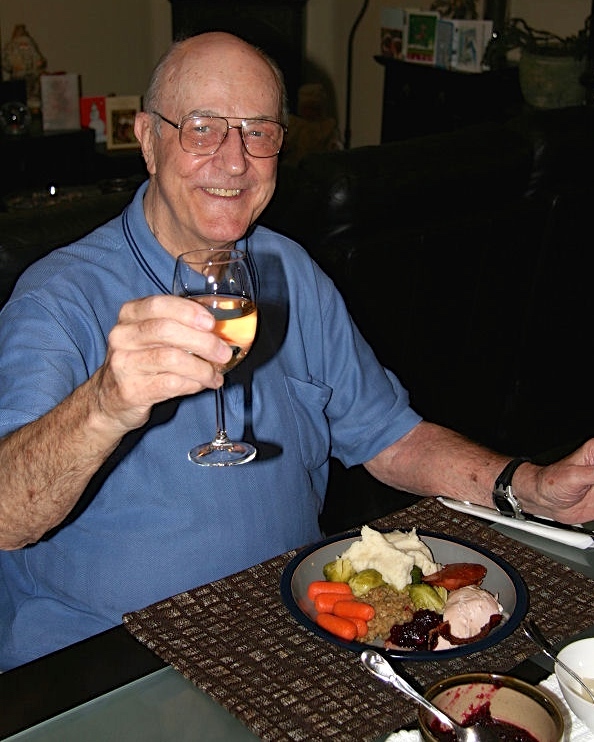 Then in late June, Gudrun died and I was unable to go to her service because my father died a few days later. Then a few days after Dad passed away, the hospital called to give me my surgical date for my knee. I spent lots of time in the studio alone weaving, making plans and getting ready to tidy up the studio ahead of my surgery. It was a good place to simply 'be' and I really needed that. 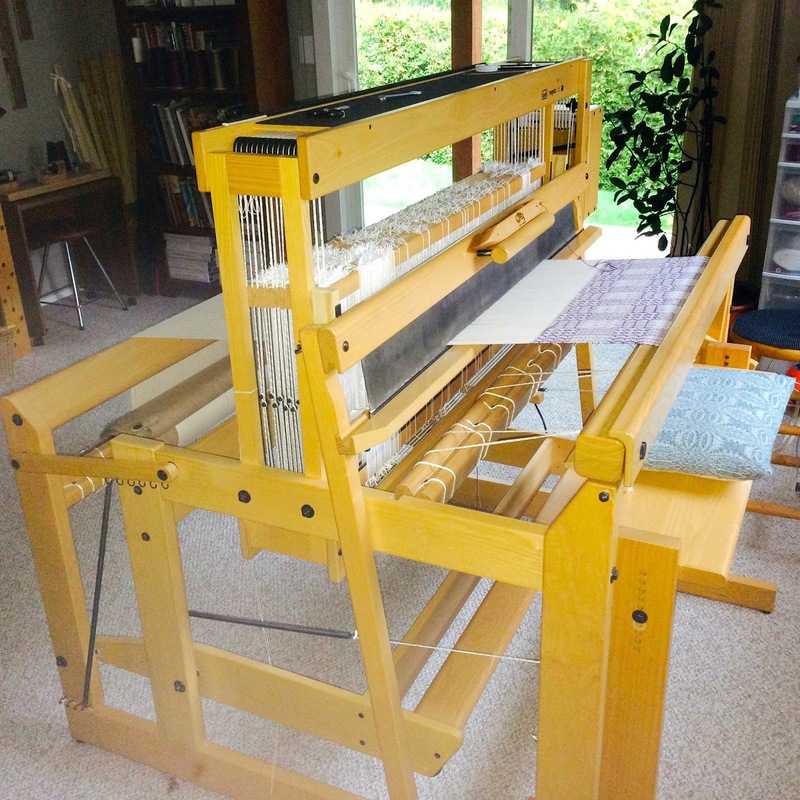 My Woolhouse Tools countermarch loom finally found a new home in Sooke, BC which is at the southern end of Vancouver Island. Jill was a happy new owner and we have become weaving friends. She had it all together and weaving away on it in record time! Before they left with the loom in their truck, Jill and her husband helped Bruce to move the Megado to spot where the Woolhouse once stood. Now the Megado has 'pride of place' next to a window and patio door for good natural daylight. 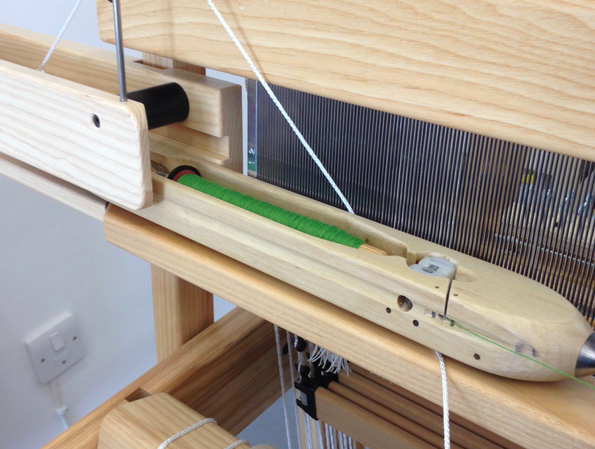 It also camouflaged where the loom's big feet has stood! 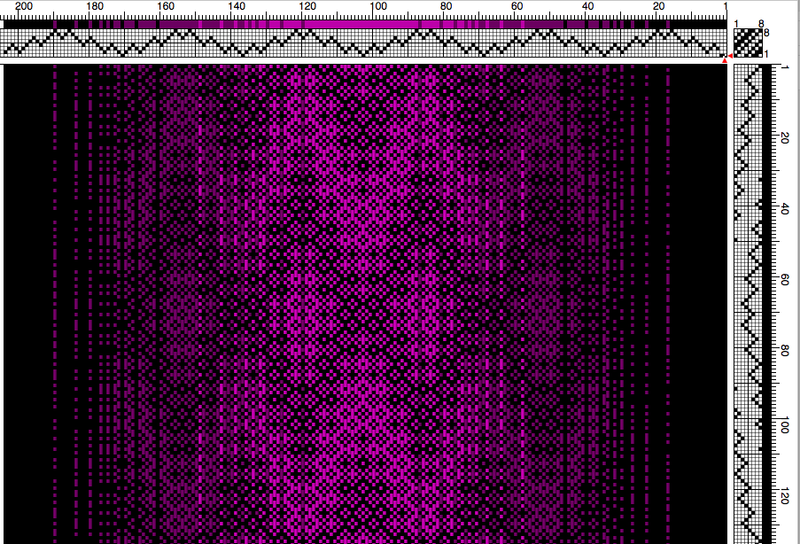 After coming back from Dad's service in Vancouver, I completed getting the Megado all set with a towel warp. Bobbins all wound; draft chosen and tested for errors. 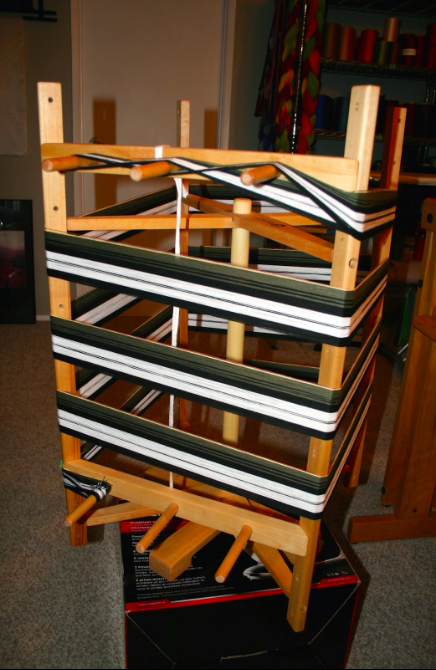 I also decided to sell my Louet Jane table loom and stand. It wasn't being used and only ever had two warps on it. It quickly found a new home over in the Vancouver area. 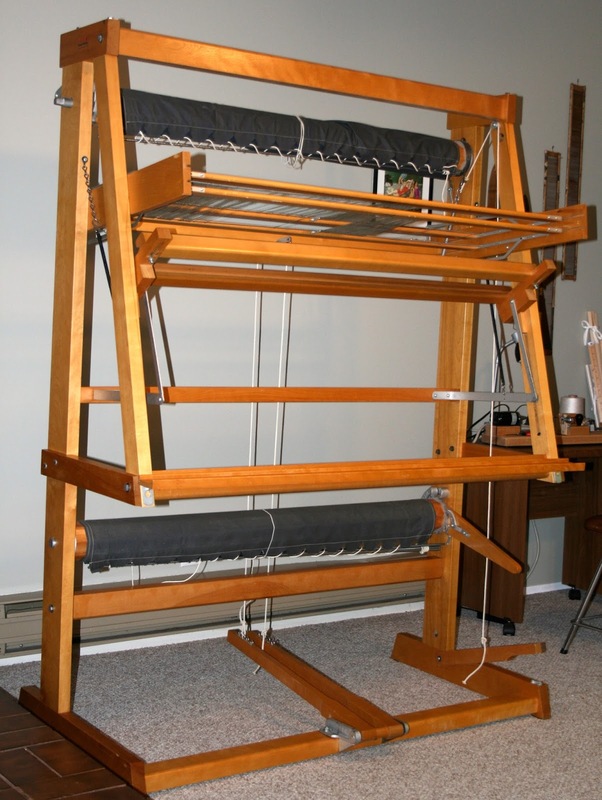 I wasn't actively looking for a loom to buy but had a notice come into my inbox about a loom for sale in the Lower Mainland (as we call the overall Vancouver area) It was a 45" Leclerc Tissart tapestry loom. It was made in January 1967. Normally a loom that old would show its age but this one had only three owners in all that time, and the last two had basically just stored it. Pictures showed it to be in very nice condition! I could hear Gudrun telling me in my ear to "go ahead and buy it." I had actually got into weaving with the purpose of doing tapestry and was sidelined by regular weaving for um, twenty years! Gudrun managed to do both and maybe I can too. Bruce set sail on the ferry for Vancouver and delivered the Jane table loom over to its new owner and then picked up my 'new' old tapestry loom. We sure had fun putting that together! Took two days but we did it! Most of it was guess work too. There was only one bruise on the wood (front right side near the tray) and some furniture oil helped to have it blend in and be less noticeable. Its coming up to being forty nine years old in January....its allowed to have some character marks. I know I sure do! I also ordered some fine wools for tapestry to come and 8/2 cottons for towel warps for the future. My colour selection was getting rather slim! I finally wet finished and trimmed up three linen and cotton book marks featuring a small fancy twelve shaft twill with a sett of 50 epi. They are two inches wide. With time running short, I got the guest towel warp off the Louet Spring and prepped them for hand sewing the hems sometime in October. 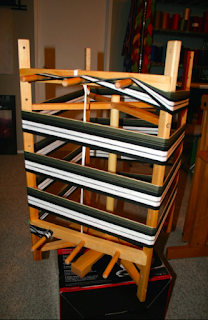 I also got a new warp onto the loom asap and made a brief start to see what it looked like. 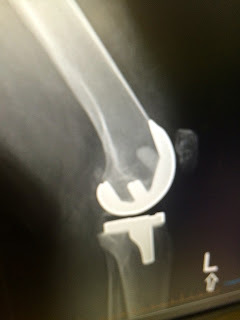 Then suddenly it was September 28th and my date with the surgeon! My view for a few weeks. Eventually I was able to focus again after the anaesthetics and pain meds and actually enjoyed hand sewing the hems. These were a 10/2 mercerized cotton warp, sett 24 epi and a fine bamboo weft and each towel has five rows of hem stitching for these huck lace towels. I came into possession of my entire family's photographs and documents via my Dad's Estate and spent two to three weeks sorting and organizing them. I had started to weave again but it was painful the day after so this diversion was helpful. It gave my knee time to heal some more and I did something productive with my time. This will be ongoing for some time to come. 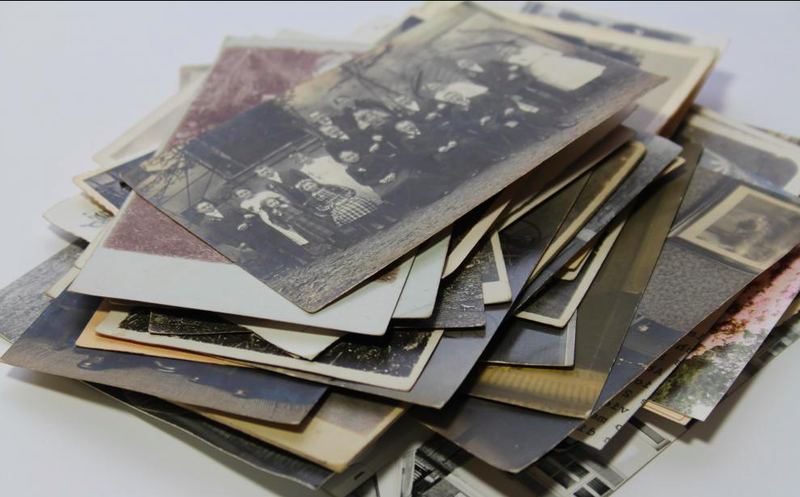 There are hundreds of photographs as it covers my parents years together, also both sets of grandparents, my father's sister and her two marriages, plus my mother's older sister and also her identical twin. Next thing I knew it was Christmas! 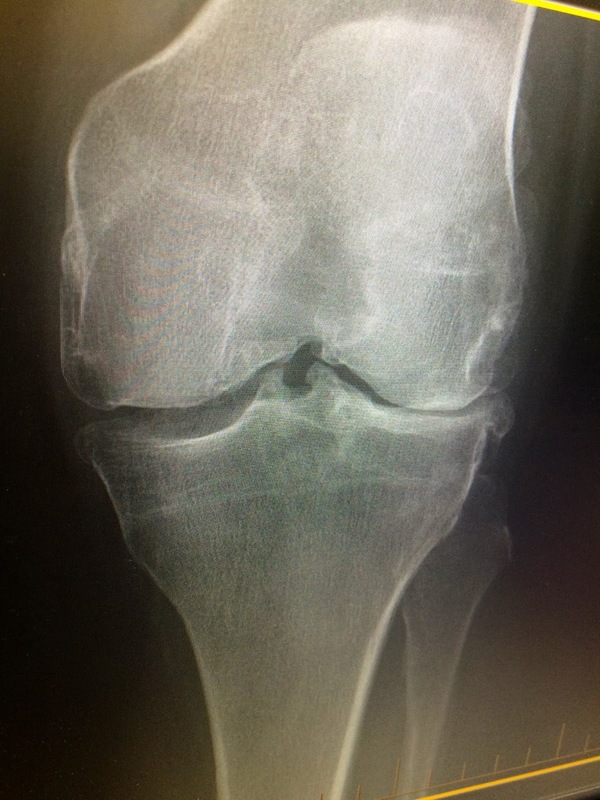 ... and a new knee. 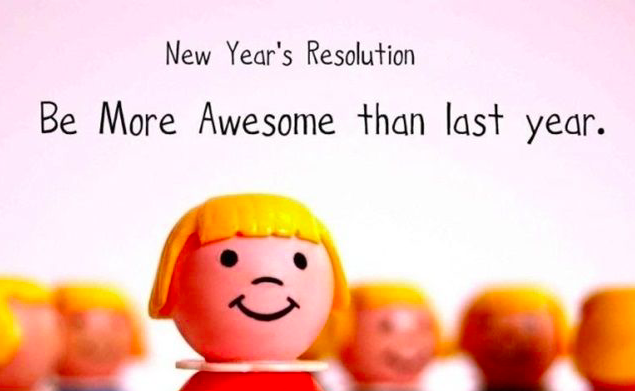 I'm hoping to have a much improved list next January 1st. More weaving, less drama! 2016 is off to a good start with a fresh warp now on the Spring, and I plan to be weaving on the Megado today and see if we can move the towel warp along some. Now, in my previous post before this one, I announced a blog anniversary draw due to be made January 8th. All you have to do is write a comment and tell me what keeps you coming back to read my blog and it would be great if you could tell me briefly your level of interest in weaving. Please be clear with your name and a way to contact you. The winner of the draw, made by collecting names from the last post and this one, and then drawn from a hat, will win a huck lace guest towel. To be fair, I must tell you that its a 'second' and has a treadling error but is still pretty and functional. If you get this post via email subscription you will have to come and visit the blog web address to enter the comment as its not possible via the email format.